In part 2, we discuss even more creative ways ID thieves can rip you off, and analyze more statistics from the Federal Trade Commission's (FTC) 2013 Consumer Sentinel Data Book. The goal? To equip you with some practical anti-identity theft ammunition in this ongoing fight. The "government benefits applied for/received fraud" subtype saw its percentages increase from 1.6 percent to 2.3 percent, which accounted for an increase in the number of complaints of 765. The other subtype categories, including "other government documents issued/forged fraud" (.8 percent to 1.0 percent) and "driver's license issued/forged fraud" (.6 percent and .6 percent), saw little or no changes in the complaint data. There are valid reasons for the significant level of complaints for the "tax and wage related fraud" area, and these two scenarios explain them. First, there has been an increase in identity theft tax refund fraud over the past four years and it cost U.S. taxpayers $5.8 billion in 2013. Secondly, many individuals have lost their jobs during the past few years, which has probably led to a sharp increase in scams used to steal their identities to rob them of their unemployment benefits. For military consumers, "government documents or benefits fraud" accounted for a large portion of their total identity theft complaints, i.e. 40.8 percent or 8,978 complaints in 2013 (compared to 52.8 percent or 13,105 complaints in 2012), which is significantly more than the 33.9 percent reported for the general population in 2013. The subtype category "tax or wage related fraud" accounted for the majority of the total identity theft complaints with 34.7 percent or 7,654 complaints in 2013 (versus 49 percent or 12,137 complaints in 2012), which exceeds the 30 percent reported for the general population in 2013. 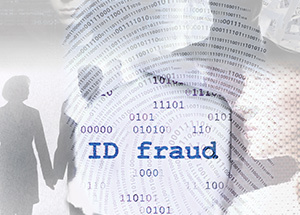 The "other government documents or benefits fraud" identity theft subtype categories for the military, namely "government benefits applied for/received fraud," "other documents issued/forged fraud" and "driver's license issued or forged fraud" reported insignificant percentages ranging from .6 percent to 3.9 percent in 2013, which was comparable to their data for 2012 and the general population data for both years.